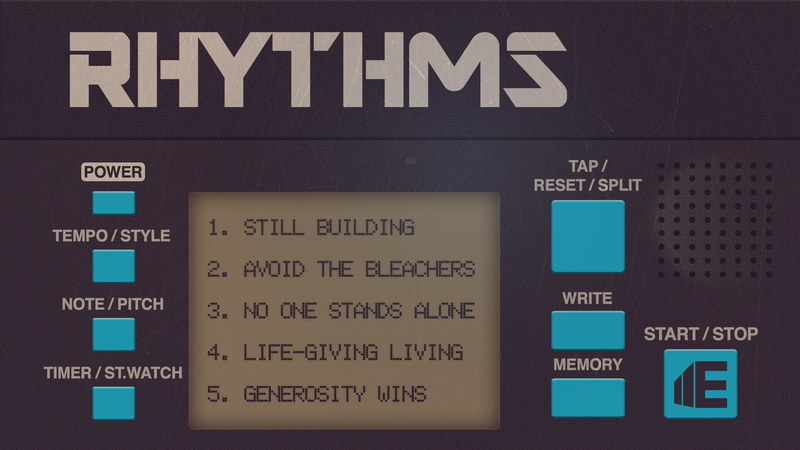 For the next few weeks we’re going to be looking at some RHYTHMS and patterns we see in the life of Jesus and the early followers of God. Some values that invite us into living in a way that brings life. That when we live them out, they stimulate healthy connection with God and connections with others. These are RHYTMS and values that we’re building our church upon. More then mere words, more than just something we talk about – they are to be lived out in the normal rhythms of life. RHYTHMS of how we are to engage life so we can experience the best possible way to live and stay connected to the movement of Jesus. Join us September 15th – October 13th for this series.